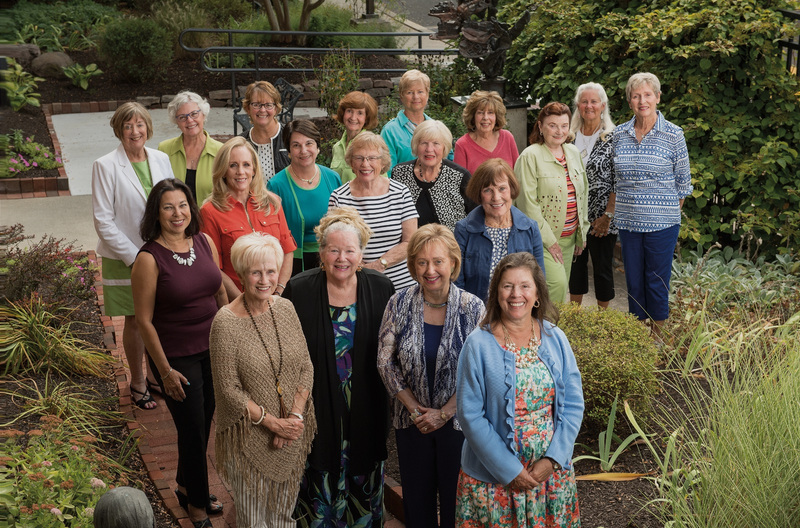 Since the beginning, the women leaders of the Village Improvement Association of Doylestown (VIA) have personified caring leadership by designing innovative ways to meet the changing healthcare needs of the Doylestown community. To appreciate the Doylestown Health of today, one only needs to know of its origins to fully grasp just how remarkable it truly is. In 1895, an era of modernization ushered in new ways for the residents of Doylestown to connect and communicate with the outside world. Access to expanded rail travel, electricity and the eagerly anticipated telephone meant that Doylestonians were keeping pace with their contemporaries in many ways. At the same time, challenges with sanitation and water quality provided a stark contrast to the progress being made. Dust from unpaved streets became unbearable as summer approached—traffic kicked up dust clouds which choked and burned the eyes of passersby. Local resident, Mrs. Isabella Watson, dismayed by this situation, decided to take action. Along with addressing the health concerns brought on by dusty roads, the 14 founders began a tradition of innovation, philanthropy and service to community that stands today as a testament to their extraordinary vision for improving the health of the residents of Doylestown. In 1923, the visionary women of the VIA established Doylestown Hospital to proactively meet the need for emergency and acute care right in the community. In the early days, the fearless women of the VIA assumed every responsibility for running the hospital. Their involvement “created a sense of community, gratitude and partnership that characterizes the culture of Doylestown Health today,” according to Cory H. Schroeder, current VIA President. “They were trailblazers,” she continued. Early on, members of the VIA established a tradition of fundraising to support the ongoing operations of Doylestown Hospital. The members of the VIA apply the same passion and purpose to their largest annual fundraiser, the Bucks County Designer House & Gardens. Since 1971, this event is a highlight of the spring season in Bucks County, showcasing some of the finest examples of historic and residential architecture, including emblematic stone farmhouses. “Our goal is to select homes that are unique to Bucks County and have a long history—like the VIA!” notes Georgia Ford, VIA member and former Designer House Chair. Net proceeds from the month-long fundraiser are primarily designated to support the mission of Doylestown Health and fund other causes such as scholarships, direct family assistance, post-secondary education for women, and community-interest groups in need of financial and other types of assistance. The impact of the VIA’s philanthropy can be felt in all corners of Doylestown Hospital. Over the past 40 years, the Designer House proceeds have allowed the VIA to invest in Doylestown Health’s highest priority capital projects and programs. To date, the VIA has contributed more than $3.5 million, a notable achievement for an exclusively all volunteer-led organization. VIA funds were instrumental in opening Doylestown Health’s new Emergency Department in 2010. The VIA made an unprecedented $1 million pledge in 2011 of Designer House proceeds that launched the renovation and expansion of labor, delivery and postpartum facilities at Doylestown Hospital to meet growing demand from the community. Renamed the VIA Maternity Center in 2013, patients seek to celebrate one of life’s most important milestones in this facility that seamlessly blends clinical excellence with a nurturing and healing environment and also honors the VIA’s longstanding commitment to women and families. Proceeds from the 2017 Designer House will fund equipment needs for the new Endovascular Surgery Suite, an essential component of Doylestown Health’s innovative plans for the future.